Do you want to mix up your homemade sausage? 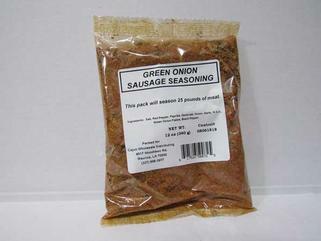 Try our Green Onion Sausage Seasoning! This is one of our BEST SELLERS! Each case comes with 15/12 oz packages; 1 package will season up to 25 pounds of meat. Your order also includes a roll of 300 ingredient labels absolutely FREE. Get yours today!